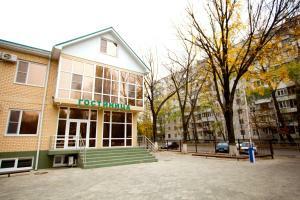 Situated in Krasnodar, 8 km from Krasnodar Expo, HEMINGWAY Hotel boasts a cafe and free WiFi throughout the property. Rooms have a flat-screen TV. Some rooms feature a seating area for your convenience. Certain units have views of the lake or city. Extras include free toiletries and a hairdryer. Guests can use a shuttle bus service at surcharge. Krasnodar International Airport is 6 km from HEMINGWAY Hotel. When would you like to stay at HEMINGWAY Hotel ? This air-conditioned room features a safety deposit box, phone and flat-screen TV. It comes with a private bathroom.Extra bed is available. This twin/double room has a private entrance, minibar and air conditioning. This twin/double room has a soundproofing, minibar and cable TV. This family unit features two rooms and two private bathrooms.. This family unit features two rooms and two private bathrooms. 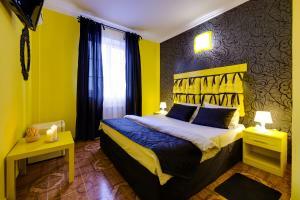 This triple room features a tile/marble floor, cable TV and minibar. This twin/double room features a soundproofing, air conditioning and washing machine. Please inform HEMINGWAY Hotel in advance of your expected arrival time. You can use the Special Requests box when booking, or contact the property directly with the contact details provided in your confirmation. Please note that when booking 5 rooms or more, different policies will apply. Each day we'll check prices and send you an email for your selected dates at HEMINGWAY Hotel. If you don't have specific dates but would like to check prices for say next weekend or say next month we can check the price too. Click to write a review and share your experience of HEMINGWAY Hotel with other travellers.